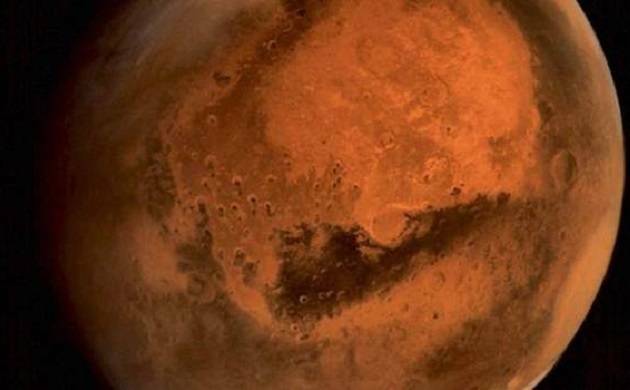 Scientists have discovered boron in the Gale Crater on Mars that provides evidence of life on the red planet. Scientists have discovered boron in the Gale Crater on Mars that provides evidence of life on the red planet. Borates may play a crucial role in the development of RNA which is one of the building blocks of life and finding boron adds up to the possibility of the existence of life, researchers said. "Essentially, this tells us that the conditions from which life could have potentially grown may have existed on ancient Mars, independent from Earth", said Patrick Gasda, lead author of a paper published today in Geophysical Research Letters. The boron found on Mars was discovered in calcium sulfate mineral veins, meaning the boron was present in Mars groundwater and provides another indication that some of the groundwater in Gale Cater was habitable, ranging between 0-60 degrees Celsius and with neutral-to-alkaline pH. The boron was identified by the rover’s laser-shooting ChemCam (Chemistry and Camera) instrument, which was developed at Los Alamos National Laboratory in conjunction with the French space agency.